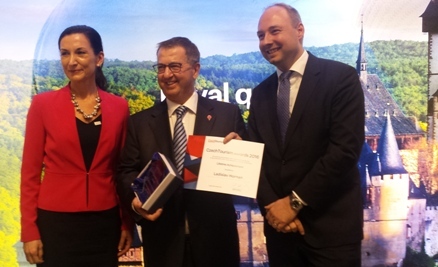 The CzechTourism agency annually awards the most important partners in the UK and those who are spreading the good name of the Czech Republic. This year, the awards were handed over during a festive evening at the World Travel Market fair. This fair is typically visited by around 50,000 travel agents, journalists, bloggers and delegates from national tourism organisations to make contacts and draw inspiration. The lifetime achievement award went to Ladislav Hornan, Managing Partner at UHY Hacker Young LLP and Chairman of the Czech British Chamber of Commerce in London. Ladislav has been fostering trade relations between the two countries for years through his experience from many different sectors, including the tourism and hospitality industry.